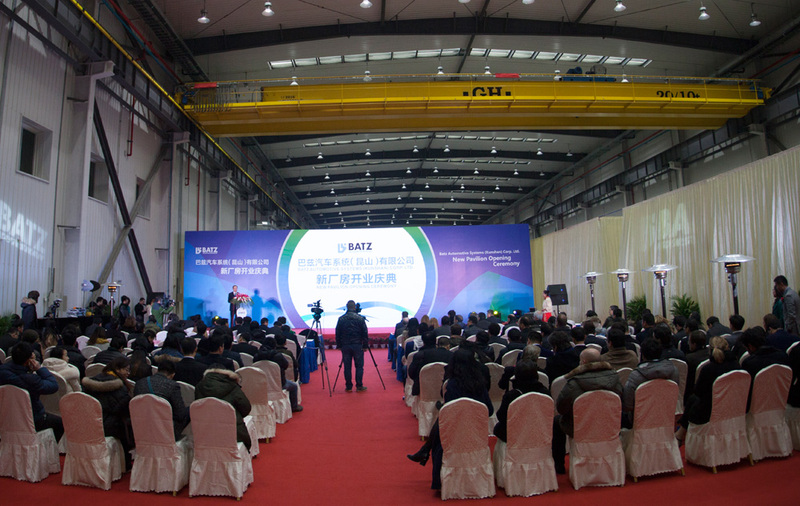 References of some installations of cranes made in China during the year 2016. 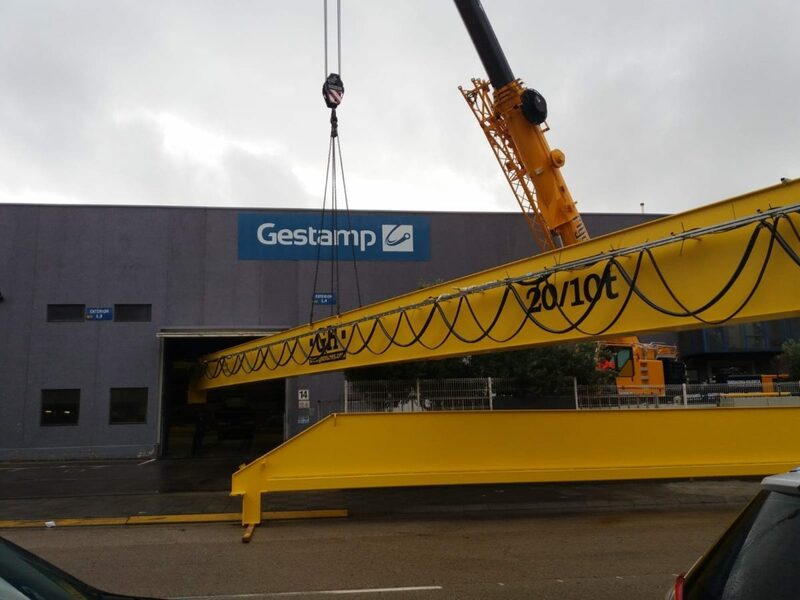 Bridge crane with two hoists of 32 and 16t lifting capacity for Gestamp Shenyang in Shenyang. 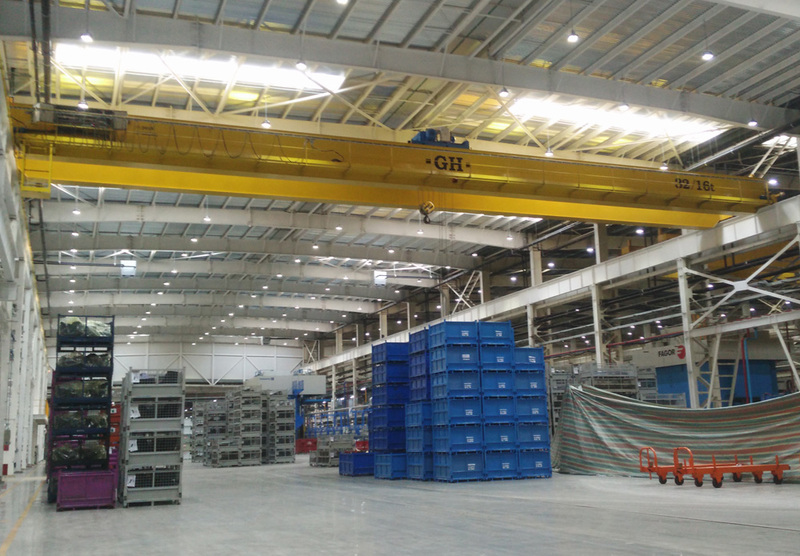 GH hoists of 1,6t lifting capacity for Cikautxo in Kunshan. 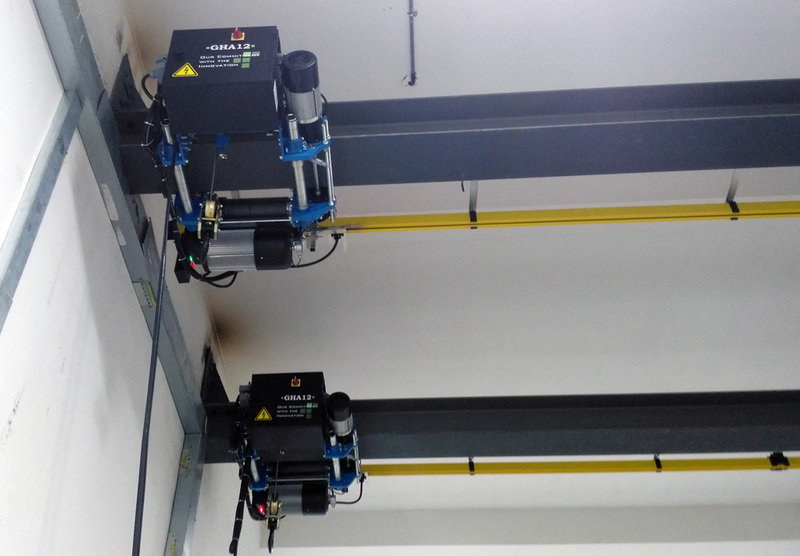 Bridge crane with two hoists of 20 and 10t lifting capacity, crane light of 26,8m and a lifting height of 10,2m for Batz in Kunshan. 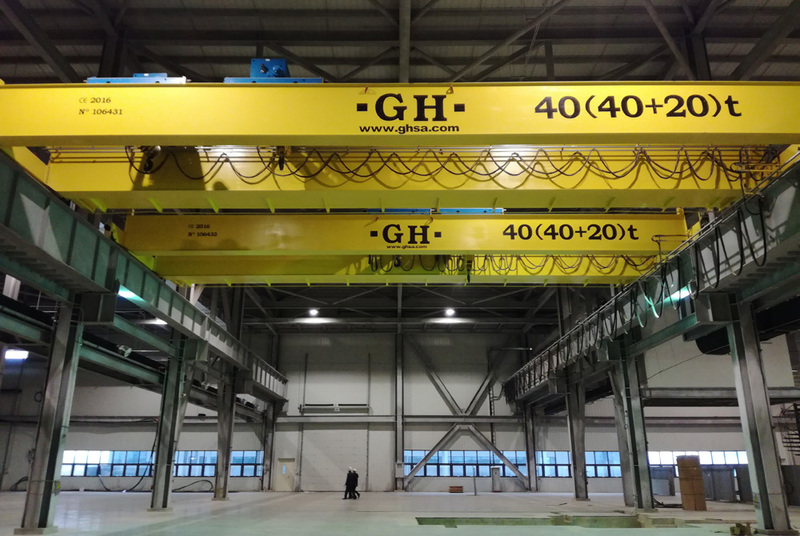 Bridge crane with two hoists of 40 and 20t lifting capacity, crane light of 18,8m and lifting height of 8,5m for Kangde Composite in Langfang. 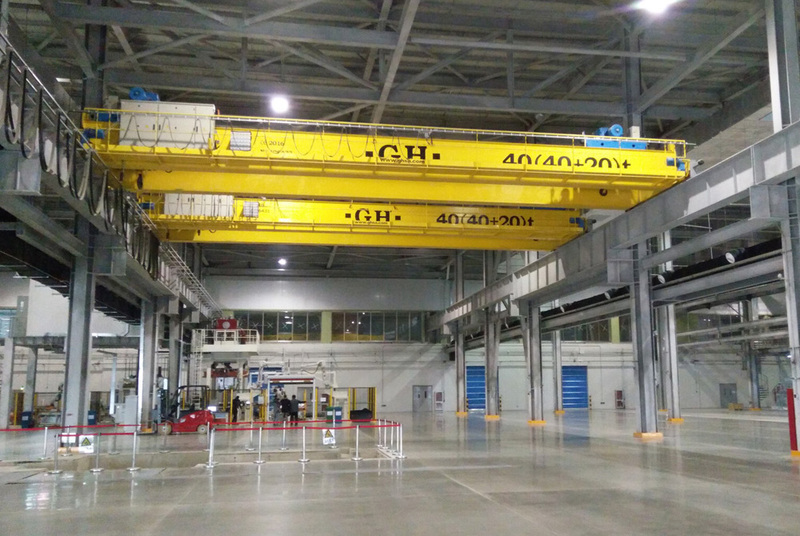 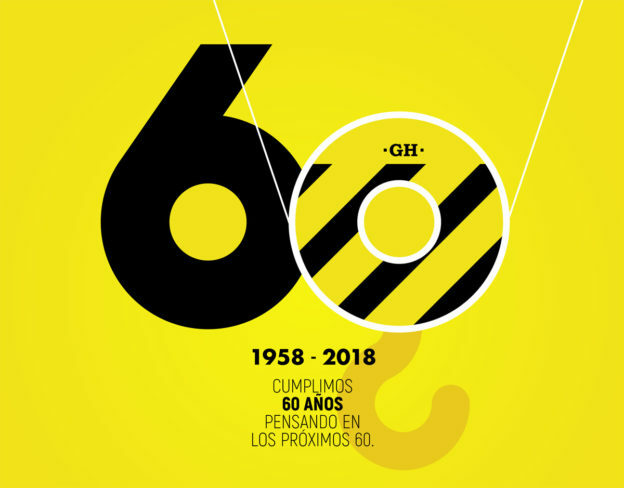 Esta entrada se publicó en Referencias y está etiquetada con Batz, Bridge crane, Cikautxo, Gestamp, hoists, Kunshan, lifting capacity, Shenyang en 2017/03/06 por ghcranes.